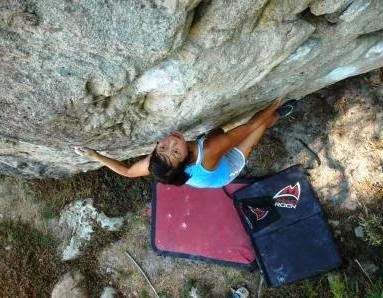 Julia Chen sent "Skunk" 7B at TDA after three or four sessions on the problem. The classic line was opened by Justin Hawkins and was the first 7B in the area. The problem involves long pulls off small crimps to gain a sloping undercling and then a dynamic slap to a sloper rail, which is follwoed by a juggy but high topout. Evan Wiercx and friends have developed a brand new area at Topside, called "Brazil" on the plateau above the Silvermine Boulder. Donovan Willis has been busy in Mpumalanga, developing yet another brilliant area. 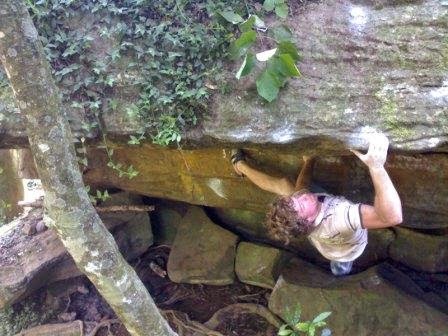 He has opened "Killswitch" 7C amongst several other problems in Sabie Gorge.